Season’s Greetings from the Regional Studies Association. I am sitting in the warmth of an Australian summer contemplating my recent trip to London for the Association’s Board meeting, AGM, Winter Conference and President’s event. My view is that this has been a year of exceptional achievement for the Association. We have expanded our territorial reach by opening the RSA China Division with 72 new members (a very auspicious number). We will open a Latin America Division in 2015 and I invite everyone working either in Latin America or on Latin American issues to contact Sally Hardy – we are actively seeking partners to work with (sally.hardy@regionalstudies.org). We have strengthened our publishing portfolio – Territory, Politics, Governance has recently been accepted for evaluation prior to inclusion in the Social Science Citation Index leading to an impact factor. We successfully launched Regional Studies, Regional Science as our new gold open access journal publishing 27 items in its first year including early career mentored papers and regional graphics pieces. With 27,000+ downloads in 12 months this journal is leading its field. I’m pleased to share that at the November Board meeting we approved a new start journal in 2016 called Area Development and Policy. This will be edited by Professors Mick Dunford and Weidong Liu, both of the Chinese Academy of Sciences. The journal will publish those authors working in and writing on emerging territories. It will be sensitive to different publishing traditions. More will come on this new concept journal in early 2015. I’m pleased to say that in 2015 we will celebrate the 10th Anniversary ofSpatial Economic Analysis – that decade passed very quickly! Finally we managed the transition of editors for Regional Studies. 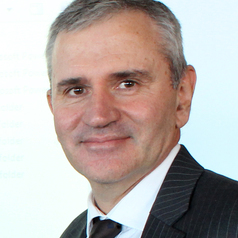 Professor Ivan Turok and his international team continue the careful and creative stewardship of our flagship journal which saw a strong rise in its impact factor this year. The RSA’s role as a grant giver continues to develop. In addition to the Early Career Research Grants of £10,000 (current investment is £240,000) we will announce in 2015, two new grant schemes for mid and established career researchers. These small grants are light touch in application procedure and offer reasonably flexible money. They are designed to help researchers to get bigger projects or to carry out small projects in our field. Our many conferences and events this year have gone very well. The recent Winter Conference addressing rebalancing of economies was the largest in the last 20 years. We also held events in Fortaleza, Brazil (Sally Hardy was overheard to say that it was her favourite ever RSA conference and I’m sure she wasn’t influenced by the beach field trip) and in Izmir in Turkey. In 2015 we have a large event coming up in Piacenza, Italy which will be linked to the Milan Expo on food and what will be a fascinating conference in Hangzhou, China (close to Shanghai) as well as an event in August in Melbourne Australia – my own turf. Before I sign off by wishing you season’s greetings I want to thank my colleagues in our collective RSA endeavour. During 2014, we the Board, our various Committees and the staff team, have rewritten the Association’s Development Plan and this is currently being circulated for comment by the members – please give us your thoughts. There are some new initiatives suggested in there such as a new Network for Centres of Regional Research – let us know what you think. Any Association is only as vibrant as the commitment of its members. We are fortunate to have a strong and loyal membership and I thank you for your ongoing support and hope that you will renew your membership if you have not already done so – see below for details of how to do this and I extend a warm welcome to you to join in our 50th Year anniversary celebrations in 2015.